What is a Honda SHADOW? Honda Shadow: The Honda Shadow is a cruiser taking its styling cues from classic choppers of old. A pullback handlebar, bobbed rear fender, cruiser footpegs and a powerful V-twin engine make this as fun to stare at as it is to ride. Shadow® RS (VT750RS)Cruiser Style + Roadster Cool = Instant Classic Yep, believe your eyes — those are higher-set footpegs and shorter, more upright bars. So, how can this be a Shadow® cruiser, you ask? Oh it’s all Shadow, just with a heavy dose of old-school roadster thrown in — you don’t have to look too hard to see the classic flat-track influences in the peanut-shaped fuel tank and flatter seat. It all adds up to an amazing motorcycle that’s just as much at home on a favorite back road as it is prowling on a Saturday night.  And that means fun, with a capital "F."
2013 Honda Shadow RS, Used Honda Shadow RS for sale! All stock, no modifications! Used Honda Shadow RS for sale. All stock, no modifications! Sharp Shadow RS in black with tons of chrome! Just serviced at a factory authorized Honda dealership. Bike has been inspected, certified, and includes a 6 month warranty. Buy with confidence! Only $4,499! 2013 Honda Shadow RS, 1 OWNER. LOW MILES. COME RIDE WITH US TODAY! 2013 Honda® Shadow® RS Cruiser Style + Roadster Cool = Instant Classic Yep, believe your eyes—those are higher-set footpegs and shorter, more upright bars. So, how can this be a Shadow® cruiser, you ask? Oh it’s all Shadow®, just with a heavy dose of old-school roadster thrown in—you don’t have to look too hard to see the classic flat-track influences in the peanut-shaped fuel tank and flatter seat. It all adds up to an amazing motorcycle that’s just as much at home on a favorite back road as it is prowling on a Saturday night. And that means fun, with a capital “F.” Liquid-Cooled Muscle. The Shadow® RS is no stranger to power or torque, thanks to its brawny, liquid-cooled 745cc V-twin. Cruise cross-town or hit the highway—this machine can handle both, and sound really good doing it. Honda Fuel Injection. Fuel Injection ensures optimal fuel delivery, and thus performance, utilizing sensors for intake-port pressure, engine-coolant temperature, intake-air temperature and atmospheric pressure. Comfortable Classic. Higher pegs, more upright bars, and a plush, low, but slightly flatter saddle add up to cruiser comfort with a sporty feel. Which, when you think about it, is exactly how it should be with a machine this versatile. Don’t be Fuelish. One of the best things about the Shadow® RS? It awesome fuel economy . How good? How about an estimated 56 miles per gallons*? Now that’s Honda smart! Shadow® RS (VT750RS) Certified Pre-Owned Motorcycle Includes a 30 Day / 1500 Mile Warranty. Extended Warranty Plans Available. 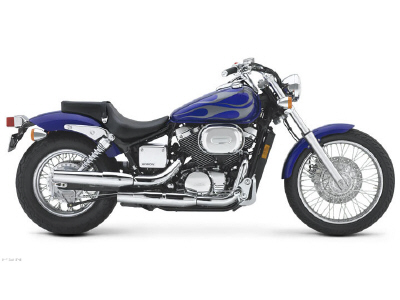 This 2013 Honda Shadow RS features a fuel injected 750cc motor and 5 speed transmission. This Certified motorcycle received 2 new tires as well as a full service at our dealership. ***Financing Available! *** Classic Iron has been in the motorcycle industry for 30 years and features Virginia's largest Pre-Owned Inventory. We have over 300 units in stock! We have financing available and are open Monday-Friday 9-6 & Saturdays 9-4. If you have any questions please call 540-479-1114 or email sales@classiciron.com The bike you look at today, and want to think about tonight, before buying it tomorrow, will be bought today, by someone who looked at it yesterday, and thought about it last night! J & J Motors Inc.
2013 Honda Shadow RS -VT750RSD, 2013 Honda Shadow RS -VT750RSD 5,979 Miles Graphite Black 745cc, Liquid-Cooled, V-Twin, Fuel-Injected Engine Fuel System: Electronic Fuel Injection Five-Speed Transmission Final Drive: Chain Chrome Staggered Exhaust Rider Pegs Adjustable Passenger Pegs Chrome Mirrors Market Value $4,543 During our inspection we performed the following: We inspected and test rode the bike. We replaced the front and rear tires. We replaced the air filter. We lubed and adjusted the chain. We installed a battery tender lead. Notes: Small chip on the front fender. One of the passenger pegs is bent. Light scratches on the rear fender. Please see pictures. We take most titled trade-ins. We can arrange shipping all over the world, or pick you up at Dallas Fort Worth International Airport (DFW). Call Us Now 1-888-400-1151. 2013 Honda Shadow RS, 2013 Honda® Shadow RS Cruiser Style + Roadster Cool = Instant Classic Yep, believe your eyes—those are higher-set footpegs and shorter, more upright bars. So, how can this be a Shadow® cruiser, you ask? Oh it’s all Shadow®, just with a heavy dose of old-school roadster thrown in—you don’t have to look too hard to see the classic flat-track influences in the peanut-shaped fuel tank and flatter seat. It all adds up to an amazing motorcycle that’s just as much at home on a favorite back road as it is prowling on a Saturday night. And that means fun, with a capital “F.” Liquid-Cooled Muscle. The Shadow® RS is no stranger to power or torque, thanks to its brawny, liquid-cooled 745cc V-twin. Cruise cross-town or hit the highway—this machine can handle both, and sound really good doing it. Honda Fuel Injection. Fuel Injection ensures optimal fuel delivery, and thus performance, utilizing sensors for intake-port pressure, engine-coolant temperature, intake-air temperature and atmospheric pressure. Comfortable Classic. Higher pegs, more upright bars, and a plush, low, but slightly flatter saddle add up to cruiser comfort with a sporty feel. Which, when you think about it, is exactly how it should be with a machine this versatile. Don’t be Fuelish. One of the best things about the Shadow® RS? It awesome fuel economy . How good? How about an estimated 56 miles per gallons*? Now that’s Honda smart! 2013 Honda Shadow RS, Accessories include a passenger backrest, bags, and exhaust pipes. 2013 Honda® Shadow RS Cruiser Style + Roadster Cool = Instant Classic Yep, believe your eyes—those are higher-set footpegs and shorter, more upright bars. So, how can this be a Shadow® cruiser, you ask? Oh it’s all Shadow®, just with a heavy dose of old-school roadster thrown in—you don’t have to look too hard to see the classic flat-track influences in the peanut-shaped fuel tank and flatter seat. It all adds up to an amazing motorcycle that’s just as much at home on a favorite back road as it is prowling on a Saturday night. And that means fun, with a capital “F.” Liquid-Cooled Muscle. The Shadow® RS is no stranger to power or torque, thanks to its brawny, liquid-cooled 745cc V-twin. Cruise cross-town or hit the highway—this machine can handle both, and sound really good doing it. Honda Fuel Injection. Fuel Injection ensures optimal fuel delivery, and thus performance, utilizing sensors for intake-port pressure, engine-coolant temperature, intake-air temperature and atmospheric pressure. Comfortable Classic. Higher pegs, more upright bars, and a plush, low, but slightly flatter saddle add up to cruiser comfort with a sporty feel. Which, when you think about it, is exactly how it should be with a machine this versatile. Don’t be Fuelish. One of the best things about the Shadow® RS? It awesome fuel economy . How good? How about an estimated 56 miles per gallons*? Now that’s Honda smart! 2013 Honda Shadow RS, Cobra Pipes, Quick Release Windshield, Quick Release Saddle Bags, Luggage Rack & Back Rest. This motorcycle is SUPER CLEAN and needs a good home! only has 9,329 miles Call Today Ride Today! Shadow® RS (VT750RS) WITH SIDECAR!! !Behold, The Classic Roadster Check it out: higher-set footpegs and a shorter, more upright bar. We’re talking serious classic roadster here, built for riders who want to actively ride their bike, and not just putt from place to place. Make no mistake. The Shadow® RS will transport you anywhere you want to go, and you’re going to have a blast getting there. This Shadow offers a heavy dose of old-school roadster style and function — you don’t have to look hard to see the classic flat-track influences in the peanut-shaped fuel tank and flatter seat. It all adds up to an amazing motorcycle that’s just as much at home on a favorite back road as it is prowling on a Saturday night. 2012 HONDA Shadow RS, 2012 HONDA Shadow RSThe Honda Shadow RS is a cruiser style motorcycle with an MSRP of $8,240 and was carryover for 2012. Power is provided by a 4-Stroke, 745cc, Liquid cooled, SOHC, V Twin engine with Electric starter. The engine is paired with a 5-Speed transmission and total fuel capacity is 2.6 gallons. The Shadow RS rides on Steel wheels with a 100/90 R19 front tire and 150/80 R16 rear tire. The front suspension is a Telescopic Fork while the rear suspension is a Twin Sided Swing Arm. Front Hydraulic Disc brakes and rear Drum brakes provide stopping power. The Shadow RS comes standard with an One-Piece, 2-passenger seat. 2011 Honda Shadow RS, K&N air filter, bar end turn signal kit, passenger back rest and more, this is a spectacular looking bike 2011 Honda® Shadow RS The Honda Shadow® RS serves as rolling proof that classic ideas never go out of style. By combining agile and responsive handling, V-twin power, clean, crisp lines and standard-style riding ergonomics, this is one ready and willing bike that's perfectly poised for whatever the journey may bring. The Shadow® RS's higher footpegs enhance ground clearance, and its thoroughly modern liquid-cooled 745cc V-twin engine boasts Honda's sophisticated Programmed Fuel Injection to enhance your riding pleasure. Shadow® RS (VT750RS)Here's rolling proof that classic ideas never go out of style: the 2010 Honda Shadow® RS. This agile and responsive V-twin roadster has clean, crisp lines and standard-style riding ergonomics that promise plenty of fun times ahead. The Shadow RS's higher pegs enhance ground clearance, and its thoroughly modern liquid-cooled 745 cubic-centimeter V-twin engine with Honda's sophisticated Programmed Fuel Injection adds to the riding pleasure. Savor the open road aboard the Honda Shadow RS. 2010 Honda Shadow RS (750cc) with 3,700 miles in metallic gray (only year this color was available). 4,000 mile service at dealership which included oil/filter change, coolant flush/replace, chain adjustment, brake/clutch lever lube, new battery March 2019. Motorcycle is excellent condition, no accidents. Has brighter headlight bulb installed two years ago. National Cycle Flyscreen which is adjustable for angle and height. The original turn signals were replaced with smoked Kuryakyn units. Cobra chrome rear carrier included.This motorcycle riding position is more upright, not feet forward like standard cruisers or other Honda Shadows.Buy it now, ride it tomorrow! Thank you for looking! 2010 Honda Shadow RS, Advertised pricing excludes applicable taxes title and licensing, dealer set up, destination, reconditioning and are subject to change without notice. Pricing may exclude any added parts, accessories or installation unless otherwise noted. Sale prices include all applicable offers. Not all options listed available on pre-owned models. Contact dealer for details.